Rubber Recycling Program - Monmouth Rubber Recycles Everything! Rubber Recycling Program – Monmouth Rubber & Plastics Guarantees to Recycle Everything! Monmouth Rubber and Plastics Corp., a privately- held manufacturer of cellular rubber and plastics materials located on the Jersey Shore, has recently announced an expansion of its unique recycling program to include all products, scrap and shipping materials that it provides to every one of its North American customers. “If Monmouth sold it, Monmouth will take it back and recycle it,” said company founder and President John M. Bonforte Sr., speaking from his offices in Long Branch, New Jersey. Monmouth manufactures the trademarked products Durafoam™, a closed cell sponge rubber and plastic foam; Airaflex, an open cell sponge rubber and foam product; and Duraflex solid rubber and plastic sheeting in buns, sheets, rolls and stripping. The recycling process itself revolves around Monmouth’s proprietary system Bondaflex, which makes marketable products from recycled composites of rubber and plastic. John Bonforte Sr. has been involved in recycling rubber materials since the early 1960’s. Bonforte has been involved in recycling rubber materials since the early 1960’s, when, he says, “there was a different political atmosphere,” which did not encourage the reuse of scrap materials. In 1963, Bonforte put together a recycling program for Rubatex, his employer at the time. By 1967, he had left his employer to become the president of Monmouth Rubber Corporation (the company changed its “doing business as” name to Monmouth Rubber and Plastics in 1995). The company employs 55 people, seven of whom work exclusively in recycling, at its 52,500 square foot facility. 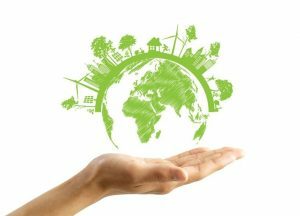 To have a successful recycling program, you have to have three elements. Monmouth marketplace contains almost every conceivable industry, including aerospace, transportation, construction, gasketing, and the athletic and medical industries, and is currently either selling or sampling products into every automobile manufacturer. Monmouth Rubber also runs programs to obtain the scrap needed for the Bondaflex process from outside sources. To seek new streams of material, the company send out a 1-page fax that they call “Turn Your Trash Into Cash,” in which they offer to purchase scrap from the company receiving the fax. The fax lists the types of scrap Monmouth is looking for, including scrap of open and closed cell sponge; solid, cured and uncured rubber; polyethylene; neoprene; SBR; EPDM; nitrile; polyethylene and PVC, among other products. “Basically, any hydrocarbon,” said Bonforte. Monmouth may even pay for shipping, depending on the product involved. “The response to Turn Your Trash Into Cash is overwhelming,” said Bonforte. The only company in the industry that will recycle rubber products that already have adhesives affixed to them. 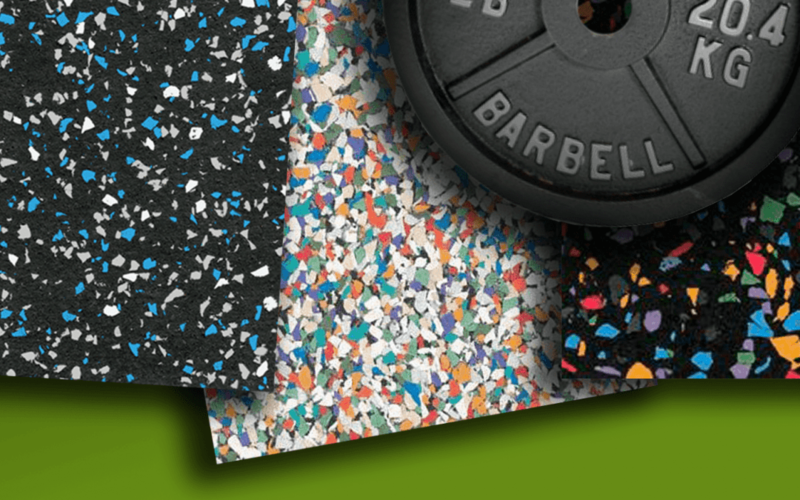 According to Bonforte, Monmouth is also the only company in the industry that will recycle rubber products that already have adhesives affixed to them. “As far as we know, Monmouth’s recycling programs are unique in the industry,” said Tim Mlnarik (That’s: M L N A R I K), Technical Products Marketing Manager for MACtac, a manufacturer of adhesives located in Stow, Ohio, which sells Monmouth a number of adhesive products. “We don’t know of anyone else doing this, or who has a system capable of doing this,” he said. Due in large part to the success of the Bondaflex technology, Monmouth is expanding. The company is currently installing manufacturing equipment that will more than double its current 10,000,000 (ten million) bd. Ft. per year capacity. The Bondaflex process is based on controlled particle size and particle size distribution, and creates innovative products offering high density materials at a cost-effective price, according to the company’s press release. The products made through this process are used in component parts for automobiles, federally specified concrete expansion joint applications, industrial components, and packaging requiring high density with low costs such as underpadding for playground equipment. The latest recycled product to become available commercially available is recycled non-crosslinked and crosslinked polyethylene foam and EVA foam. The company has been visited by representatives from businesses around the world, most recently Taiwan, seeking an understanding of the proprietary recycling process, and Monmouth is positioning itself to sell the recycling technology to interested companies throughout the world. Plans are also underway to offer a similar recycling program to the European community through Monmouth’s UK partner Rubber & Plastics Converters. Total Commitment to Recycling Rubber and Plastics Materials.